Countries Traveled: Kazakhstan, Uzbekistan & Kyrgyzstan. Distance Covered: 15000+ Kms via Planes, Trains & Automobiles. Accommodation: Stayed in Hostels, Hotels & did Couchsurfing. Transportation on ground: Used Metro, Marshrutkas, Trains, Taxis, Buses for commuting & A Hitchhiking Incident. Total Expenses- Approx. INR 75000/- including Airfares, Visas, Food, Accommodations, Transportation & Activities. It all begins with World Nomad Games. I read about the event online and were quite fascinated by it. Then, I searched the location and it turns out to be Kyrgyzstan. I had no clue where the country is located. Yes, I was ignorant like some or most of you. After looking at a map, I find out it is not so far from India. As I checked there is no direct fight to Kyrgyzstan from India. 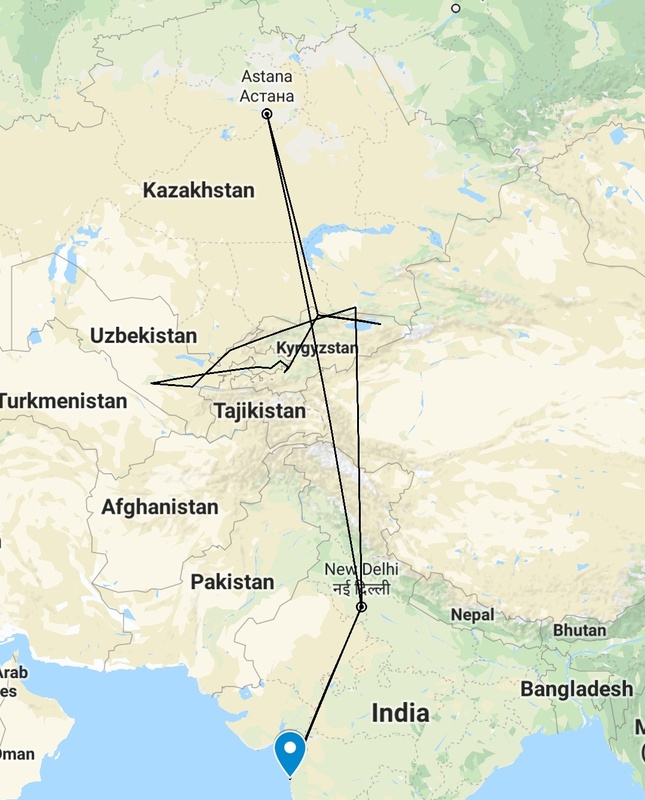 Most flights are via Kazakhstan. After doing a bit of research I find out about this Kazakhstan Visa Free Regime for Indians. Basically, till the end of this year Indians are entitled to 72 hrs visa free visit to Almaty or/and Astana if they are going to a third country or returning from a third country via Air Astana Or any Kazakh Airlines. A little more research leads me to Uzbekistan. I had no idea that Babur, The First Emperor of Mughal Dynasty in the Indian Subcontienent, was originally from present day Uzbekistan. It intrigued me. Also, the country has recently launched an e-visa facility which was icing on the cake. Kyrgyzstan too offers an e-visa facility. For the first time, while planning a solo foreign trip, I don’t have to arrange bundles of documents and complete endless formalities. Note: Please check Foreign Ministry Websites of these countries to know about the rules of Police Registration (OVIR). 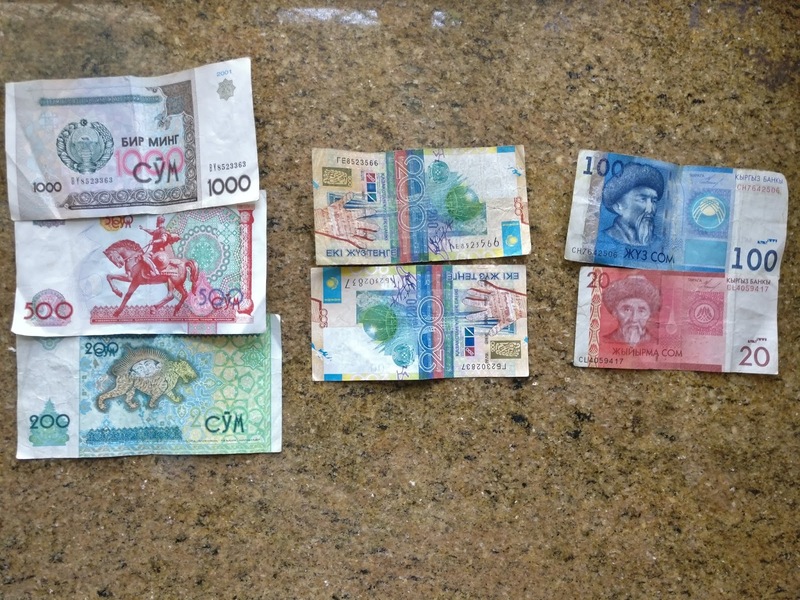 Uzbekistan: I bought a UMS Tourist Sim card @ 5 USD with 5 GB Data from UMS Head Office in Tashkent. Validity: One Month. 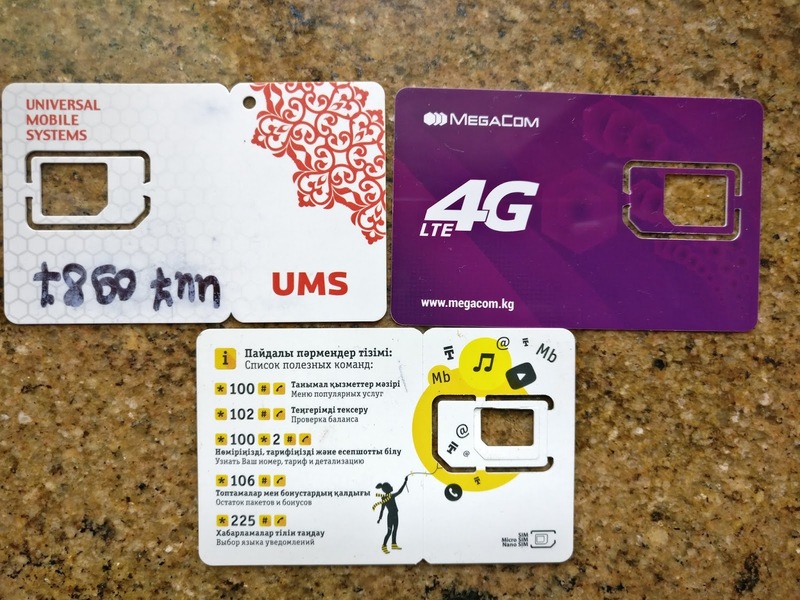 Kyrgyzstan: I bought a Megacom Sim card @ 35000 Uzbekistani som with 20 GB (divided into three parts of a day) Data from a street vendor after crossing the Dostlyk Border. Validity: One Month. Kazakhstan:I bought a Beeline Sim card @ 700 Kazakhstani Tenge with 4 GB Data from Astana Bus Station. Validity: One Week. Note: Sim card bought in Uzbekistan won’t work in the Neighbouring countries. Same goes for Kyrgyzstan & Kazakhstan. Taxis are cheap in all the countries I visited. Public transport is even more cheaper. Marshrutkas are one of the main transports to commute in all the three countries but don’t be confused if a local tell you to go to a bus station and catch a bus. By bus they meant Marshrutka. Sure, the bus is also available. Download 2GIS mobile app to locate bus stops as they’re not visible on Google maps. 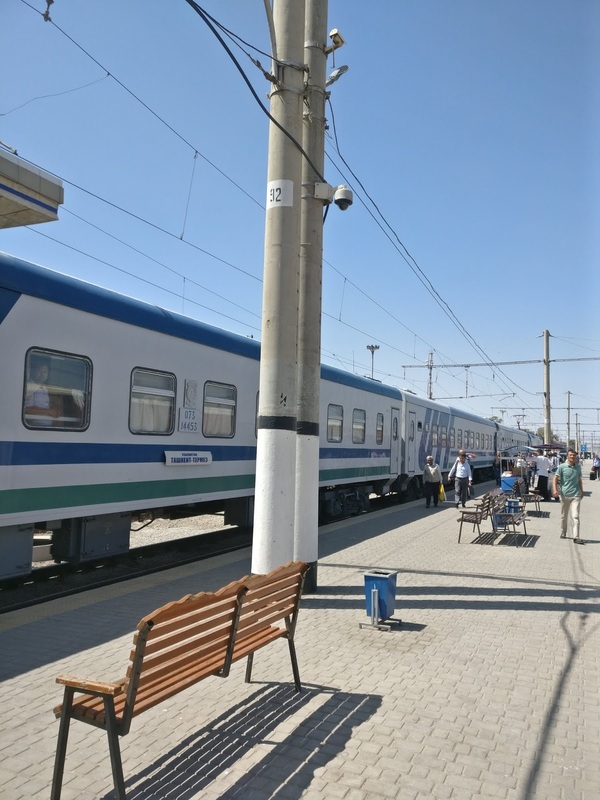 Uzbekistan: Best way to travel throughout Uzbekistan is via rail. Cheap, Convenient and Classy. Rail network is spread throughout the country. I love traveling by train. From Sleeper train, Train with cabins, Second sitting train to Afrosiyob (Super fast) train, I ride them all in Uzbekistan! You can book tickets in advance or at the Railway station (Vokzal). Taxis are cheap option to travel within a city but do negotiate and fix the price before sitting. Any car can be a potential taxi. Shared Marshrutkas are good option to commute between cities or distant places (Fixed Price). Metro is an option to commute in Tashkent though it is not spread throughout the city but I highly recommend to use it at least once. 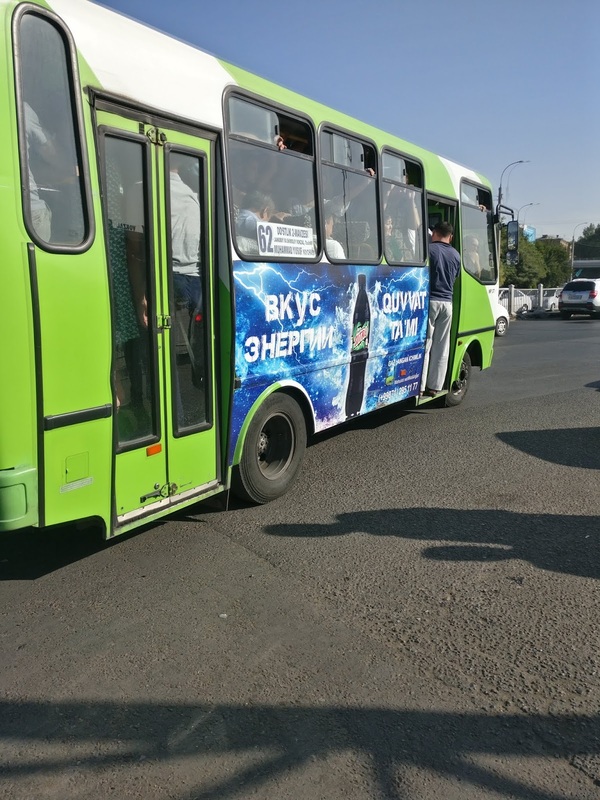 Buses are also available in Tashkent. Kyrgyzstan: Shared Marshrutkas are the best option to commute between cities or distant places (Fixed Price). Shared taxis also available. 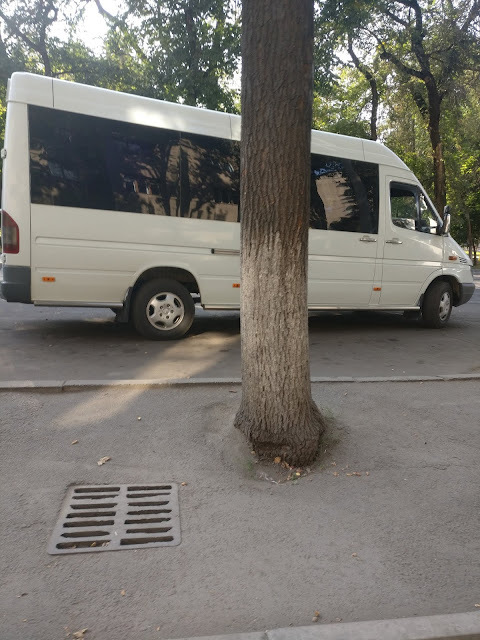 Bus is the cheapest option to commute within Bishkek. 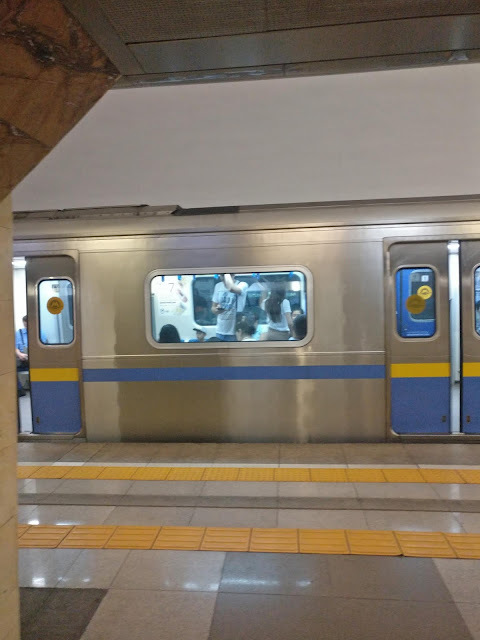 There is no metro available in cities. Virtually, Rail network don’t exist in the country. Flight is another option. 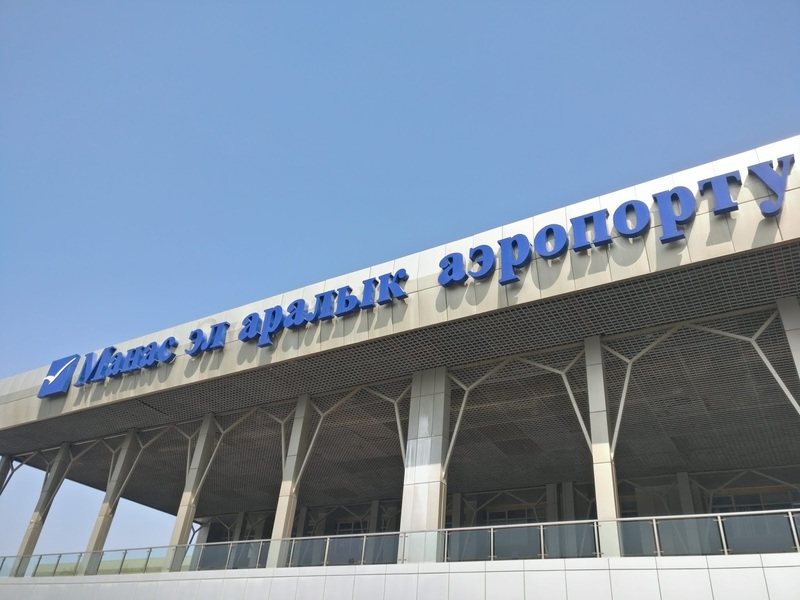 I fly from Osh to Bishkek @ INR 2000 and the flight duration was one hour. Almaty: Metro is a good option to travel but not spread throughout the city. Bus is the cheapest option to commute. Uber is available in the city with Cash only option. Astana: No Metro here. Bus is the cheapest option to commute (180 Kazakh Tenge) but it can really crowded in peak hours. I took a bus at night during rush hour and it reminded me of Mumbai Local Train. Uber is available. Yandex Taxi is another good option. Almost everyone knows Russian in all the three countries. I have not met a single person who don’t understand Russian but I do met a few people who don’t speak the National/Local language. So, wise thing to do is to download the Russian translation offline on Google Translate. Since Offline download is not available for Kazakh, Kyrgyz and Uzbek. Also, Voice and Camera option is not available for all the three languages. Additionally, download the Russian Input Keyboard and Russian Alphabet Mobile Apps to understand signs as Russian Alphabet is written in Cyrillic Script. So does Kazakh & Kyrgyz. Most of the times, signs are written in Russian in addition to the local language. I find Russian influence relatively less in Uzbekistan. If you compare the region with India, for an analogy, I would say Russian is English of Central Asia but In India chances are less that Older people know English but in Central Asia its the opposite. Options for a vegetarian are quite limited. 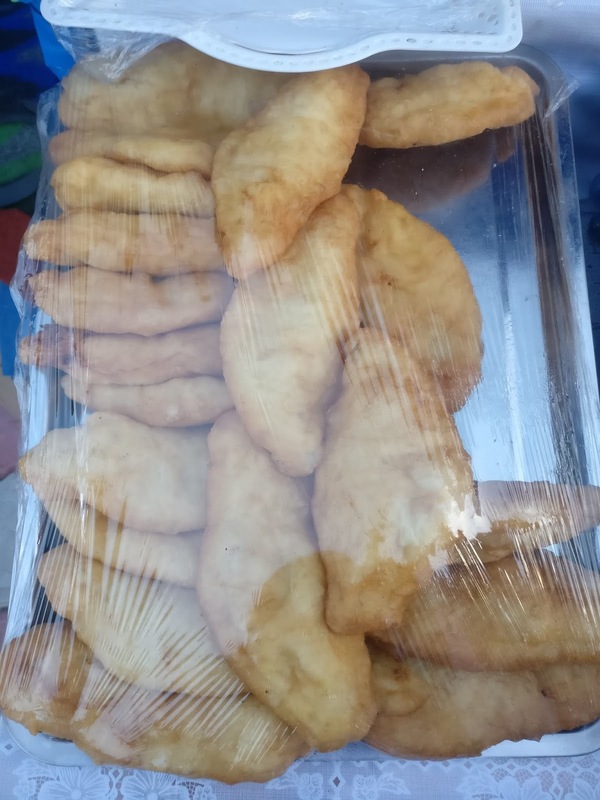 The only veg thing I found is their Naan(Bread) which is very different from Indian Naan but not sure how you can eat hard, thick Central Asian Naan alone. Maybe with a tea;) I met few vegetarians on the road and they were living on fruits, salads, snacks, snickers or by visiting supermarkets in search of something vegetarian! I ate this fried bread(miniature version of bhatura) filled with Kartoshka(Potatoes) but find out later that even the bread is made with eggs. It comes with Cabbage filling too. Good option for an eggetarian. For Indians: Beef is used in most of the dishes. Sure, you’ll find Chicken(Kuritsa in Russian) and Mutton too but make sure to ask before ordering a dish in a restaurant. Shashlik is pretty similar to Seekh Kabaab. Available in Chicken and Lamb. Tea(Without Milk) is the most famous drink in the region. You’ll find it anywhere and everywhere! INR is not acceptable in any of the three countries for money exchange. USD is widely accepted for money exchange. You will find money exchange outlets easily in the cities. If you want to exchange large sum, head to a nearest bank for best exchange rate. Some banks ask for a passport to exchange money. Trip Planning: Trip Advisor, Lonely Planet, Discover Kyrgyzstan, Caravanistan. Mobile Apps: Google Translate, Google Trips, Rome2Rio, 2GIS, Maps.Me, Russian Input Keyboard, Russian Alphabet. Many exciting posts about my experiences in Central Asia are coming soon. Can’t wait to share them with you-all. Stay tuned! Many people asked me to write a pratical guide to Central Asia. So, this is my attempt to write the same. If you have any questions, please write them in the comments. I will answer them accordingly. These countries have always fascinated me. This guide will be very helpful to plan a trip. Bookmarking it for future. Wow. I can only imagine this would have been an incredible experience. Your photos are wonderful. This makes me so curious to explore more! I'd love to visit Central Asia! I'd like to do a trip with a similar itinerary as yours as well as adding in Turkmenistan – I'd love to see the "Door to Hell" there! Central Asia hasn't really interested me much, but I'm interested after reading this. It sounds like you really had a great adventure visiting all these countries. My interest to visit has increased! 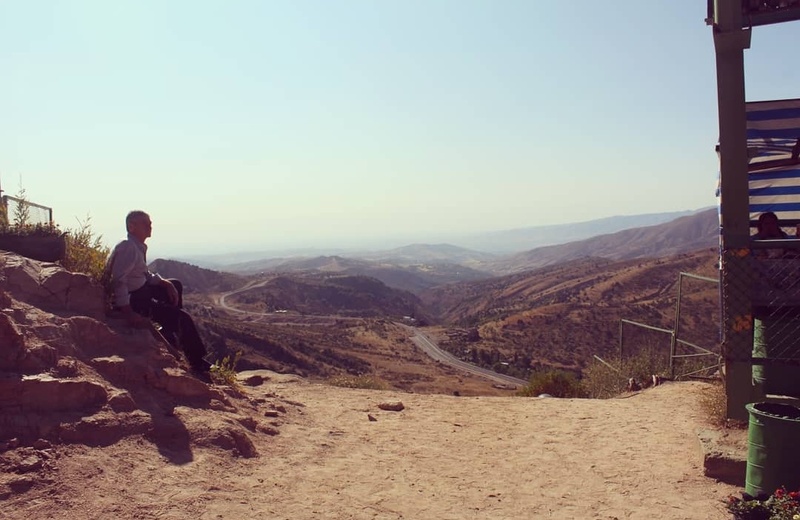 Some of those views are beautiful and so serene. I'm sure it's hard to share all you experienced from the trip in words. Many of those adventures can only be understood firsthand. Sounds like a great trip! This is such a fantastic guide to an area not as well travelled. 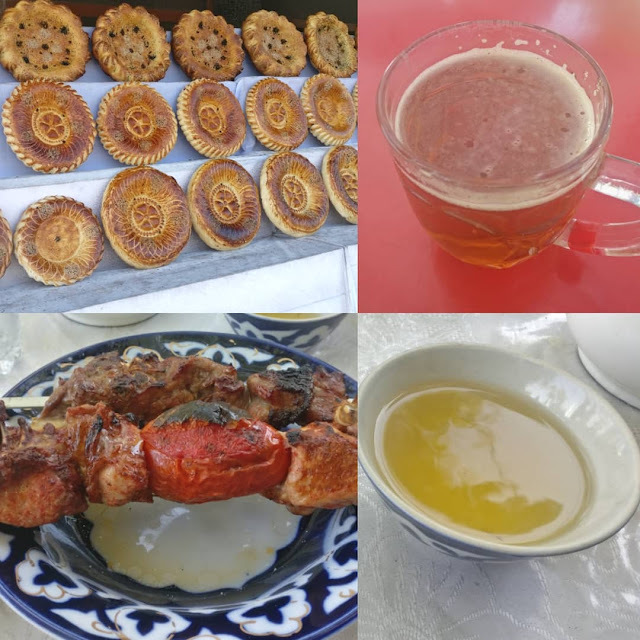 I love the food and culture of the area, and am bookmarking this for for future reference. Central Asia is probably the most off the beaten track places in Asia. I appreciate you exploring the rugged beauty of the place and sharing it with us. I think its such a great opportunity to read about your experience. It must be amazing to be able to travel and see so many things! It's like your way of thriving. Wow, glad to come across this post. I am planning for a Central Asia or Russia trip next year but have not decided yet. 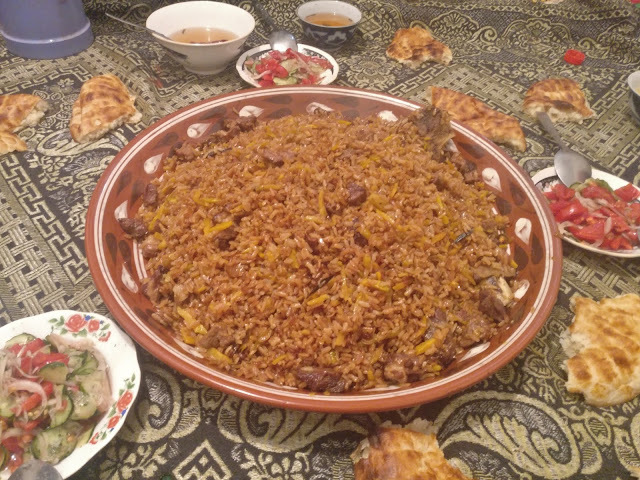 Just went to Xinjiang China 2 months ago so I gotten some intro of the central Asia culture and get really interested to find out more of Kazakh, Uzbek & Kyrgyztan. I cant wait for more of your post. And want to find out the different you find in these three countries. Those are all countries that I did not know about. Thanks for sharing this informative post and make me part of your trip. so happy that I came across this post! Thinking to travel there soon! What an absolutely incredible trip! That itinerary looks epic and takes in so many places I'd lvoe to visit. Kyrgyzstan is a place I've wanted to visit too so I can see why you chose it, even though the trip wasn't easy to do direct. I'd also like to see Uzbekistan and Kazakhstan, so I appreciate the practical information on travelling between them. I'm fascinated to also learn the local cultures and most of all the cuisines.